Live it, Love it, Feel it, Be it! 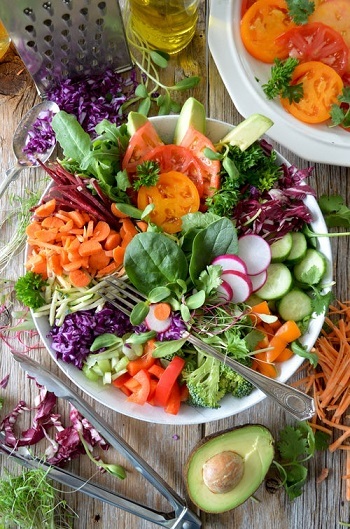 This website was created to help you make the change easily and effortlessly into the planet friendly, plant based lifestyle which will ultimately help you to become your best YOU ever in 2019. This exciting way of life can positively effect your health by helping you to lose excess weight, boost fitness levels and generally have you bouncing out of bed in the morning full of beans and energy. And that’s the power of plants… adding more fruits, veggies and plant based foods into your life, whilst also cutting down on junk foods, will both have a BIG impact on your health and vitality. You will feel a physical and mental boost, your skin will glow, your confidence will grow and you’ll feel inspired to live out the life of your dreams. Yes, feeling good about yourself, alongside having a healthy and fit body and mind, really is the magic combination that will unlock the door to your highest potential. Imagine having all the energy you need to do anything you want to do; that’s the stuff that changes worlds and lives, and that’s exactly what I’m talking about here. Start your own plant based journey today! 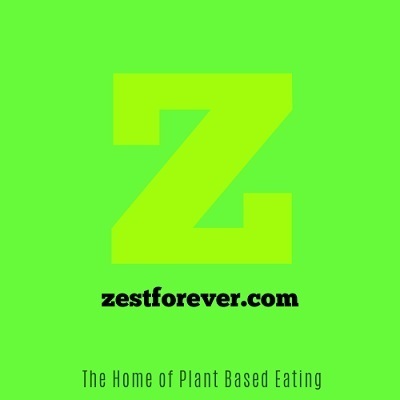 At zestforever you will find all the advice and tools you need to start your own plant based journey into feeling good and looking amazing. It doesn’t matter if you are a complete beginner or an old hand, this website will have something for you – even if it’s just a new tasty recipe to add to your repertoire. I believe that everybody beginning the plant based, or vegan lifestyle must first take the time and effort to truly understand what it involves and how it will affect them. If you don’t learn how to combine foods correctly to ensure you are receiving all the macronutrients, vitamins, and minerals you need then you may run into health problems down the road. I’ve made these mistakes myself, and I’ve also rectified them through finding a greater understanding of plant based nutrition and applying it every day. Plant based eating is HUGE, and is going to become more popular than ever this upcoming coming year. There will be many beginners to the plant based diet who will have no idea how to put together a nutritionally complete meal, and helping you guys out with sound, thorough science based advice is the aim of this website. I have put together all the tools you need to understand your plant macronutrient groups, recipes, plant based fitness advice, meal plans and so much more. So, by all means take a look around, and feel free to drop me a line below or contact me through the contacts page. This site contains Amazon affiliate links on certain posts only. I will only ever use these when promoting products that I truly believe in; or that I know will make your life better and are highly relevant to the post. If you make a purchase through these links I may get a small commission which will be at no extra cost to you the purchaser. These commissions help to keep my website afloat in order for me to keep bringing you the most up to date information in the plant based eating world. Have a happy transformation of your body, mind and soul; it all awaits you I promise. 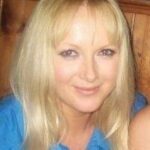 Stefanie Taylor – Owner and creator of zestforever, Sports Nutritional Advisor, Nutritional Therapist and health and fitness junkie! Hello Stefanie, this is a very nice site and is full of energy and at the same time health! Lovely pics and great information which Is so important for people too understand. I have shared your site to FB/Twitter and the other social sites I use. Very well done to you. Ha Ha that made me laugh Leal when you said you had just had a coke! I hope I didn’t scare you too much then, just change small things at a time and you won’t feel overwhelmed. It’s hard to change lifelong habits but totally possible. I think the turning point is when you allow yourself to get to a point where you start feeling really good, not just normal feeling ‘ok’ like you probably feel now in your every day life, but REALLY good. It’s almost like you are high from just being alive. It’s hard to explain, but it’s a feeling that is the catalyst for me wanting to help others feel it too, hence why I have built this website. So anyway, I definitely think you should give it a go, and good luck! I’m always here if you have any questions at all. I love all the info in your website. It looks good, too. You have a lot of info on diets and natural foods. You sound like an authority. I have eaten this way for decades – I just don’t like meat. I have always been like this since childhood. I especially enjoyed the info on calcium, since I do have the beginnings of Osteoporosis. And also you should try and do some light weight bearing exercise if you possibly can as this is the single best thing to make your bones stronger. You should also take an extra supplement of calcium and magnesium (make sure you go for a good natural brand as some forms of magnesium, usually the cheap ones that you get from the doctors, aren’t very absorbable). This will help build bone density. Plus you should definitely be taking a fish all supplement with EPA and GLA. I really hope this helps you and you can hopefully stop, or even reverse your osteoporosis before it gets too bad. Thanks Lawrence I really appreciate your comment and it reaffirms to me that I am on the right track with what I am doing, so brilliant!